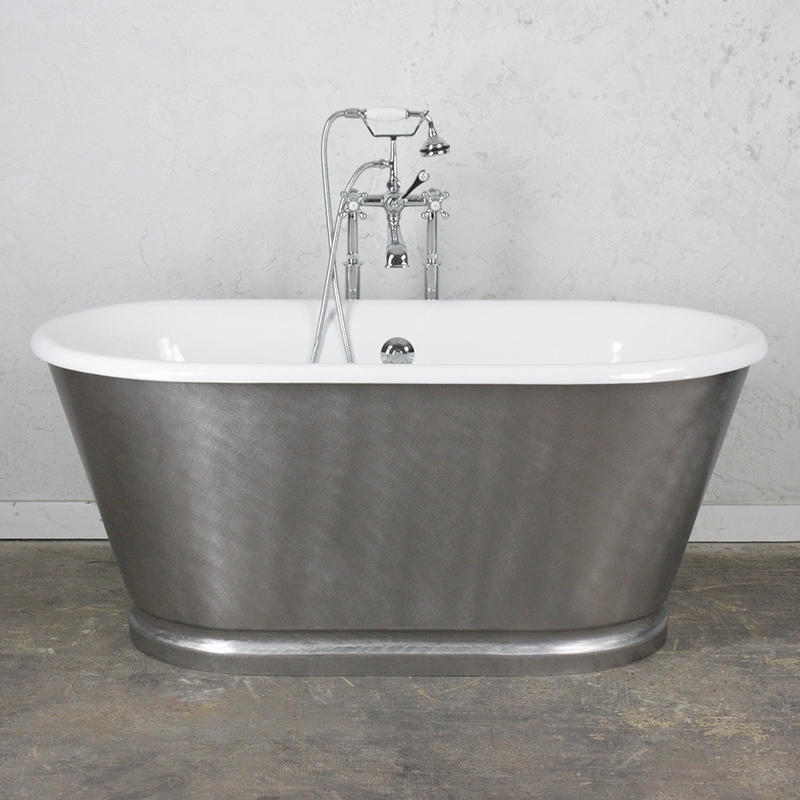 The 'Royston61' is a superb small double ended tub package with a hand burnished-80 non-reflective natural on an angled stainless steel exterior. The Royston61 has a cast iron enamel interior and a stainless steel exterior with an air gap in between, this is excellent for heat retention. 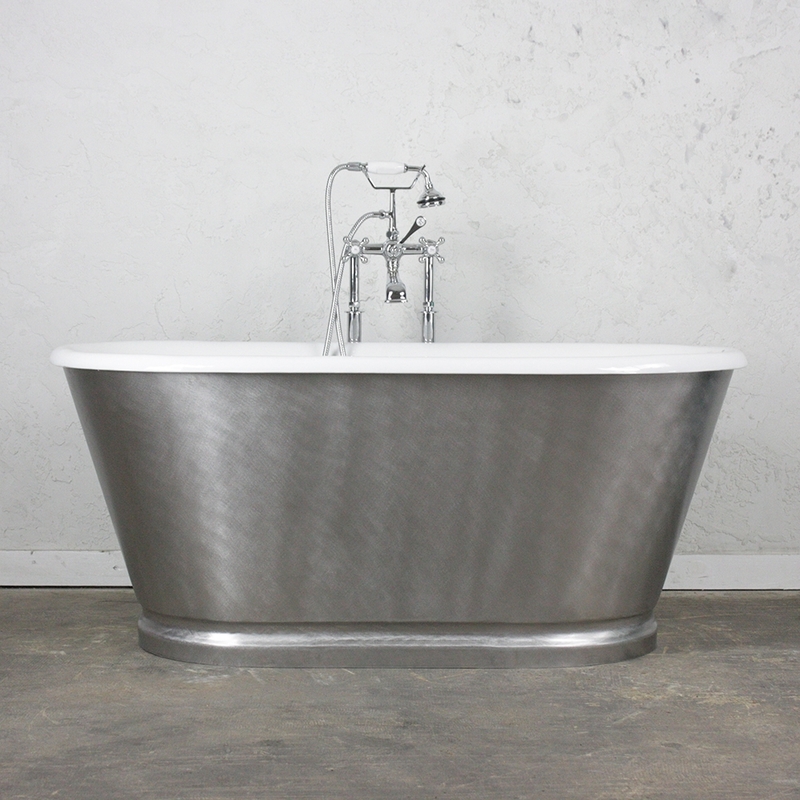 The exterior shell is a hand burnished stainless steel finish that shows some faint burnishing and finishing marks. 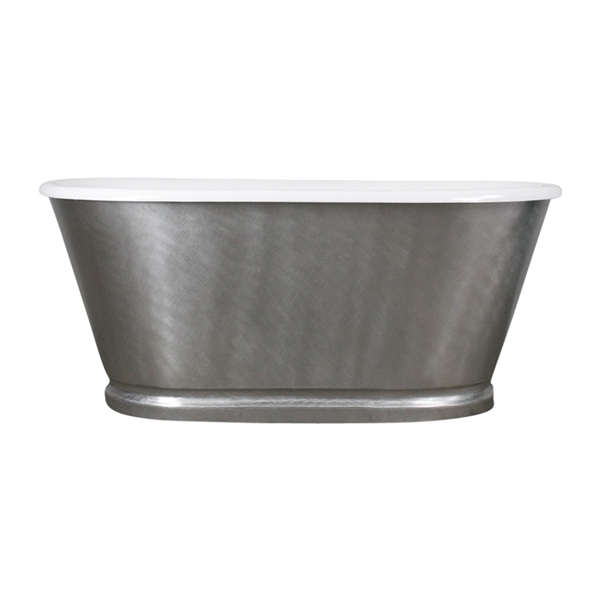 At the base of the tub, there is a curved architectural detail that complements the lines of the tub.